I'm gonna visit this one issue at a time. In my oppinion DoS is not able to run under a single leader, but instead a small group of leaders. So i think instead of having a "webmaster" rank we should have a group of three or four "Council leaders" that act as the sites administrators with a group of moderators under them. Now in my opinion things need to change...not a reset...but a change. With a possibility of everyone's rank changing. From this point on a rank should need tp be earned by RP skills, not how long you have been a member of the site. Only a set number of members should be allowed in each village with certion ranks in each village untill ALL villages hit a certion number. and the only reason a person should have to start as an AS is if they want to join a village that all the other spots are filled. And as for the villages, i think we should have four of the villages be regular naruto villages, but have one village more advanced...beggening to make it to modern time, using guns that fire kunai and senbon, having cars, computers and other modern day equipment. Any questions please post here. This topic is open to ALL for comments, staff and members a like who have opinions on the matter. The idea of having a rank limit is fine. And gaining them by rp is also okay with me. But that means, if everyone starts off again as AS or genin, that the higher ranked spots will have to be kept by NPC's? Or do you plan to make us all have a second account or something that's AS/genin? I'm somewhat confused about that part. The fact of having the regular villages of Naruto is fine, though, I don't see what it'll change in the whole story line. The fact of "modernizing" the villages is something I don't have an opinion about. 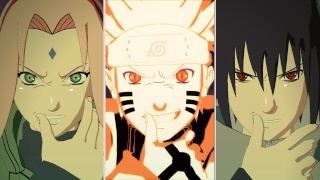 In a sense, it would kill the whole Naruto atmosphere and ninja play. (it wouldn't be exactly jutsu fights anymore but gun fights etc...). Having a city, outside of the ninja villages that is all modern and such sounds better in my opinion. Or something like that. We could do that with the modern city Asa, but it was just a random idea. That is the one idea up here i won't be pushing. 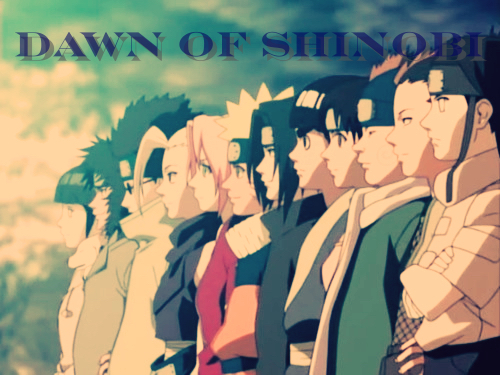 As for the ranks, no we won't all be starting at Genin and AS again. People can still get the regular ranks. The new system just makes it so, all members have to prove they have the RP skill needed for a higher rank. the older members will still get firswt chance though because we've seen there skills. Me and Mari have already bugun going over profiles to see who gets to keep there rank and who would need to change villages to keep it. And how it will work from now on is like this; when a new member joins (s)he has thre options. b; (s)he knows what village they want and it has open genin spots. Well then they can just make a genin account, simple no need for a RP. c; The person wants to join a village that is full(or all the spots are take but one (s)he doesn't have the RP skill for. Well then this member must either decide a new village, or join the village they want as a Student. Anbu would be a sub-rank that can only be given by the kage of a village. If a kage sees a Chuunin or Jounin they want to stay around the village doing anbu stuff(protecting the kage, spying missions, ext) then they can give them the choice to become an Anbu. And anbu will keep there rank as "Jounin" or "Chuunin" but it will also appear as if they don't exist on the village count. If a village has three jounin but one of them is in the anbu, well then the village can still have one more Jounin even though the original limit is 3. An Anbu member can not leave the village unless sent on a mission by the kage. ANbu captains are the leader of Anbu squads, any anbu member can put a chalange in to become the captain. Haha probably...The modern village will be brought up with the staff, we have yet to decide if this village will in fact be brought it right away. We might bring it in next, once we get more members. Oh, alright. lol I'll try to get more members with Obi.